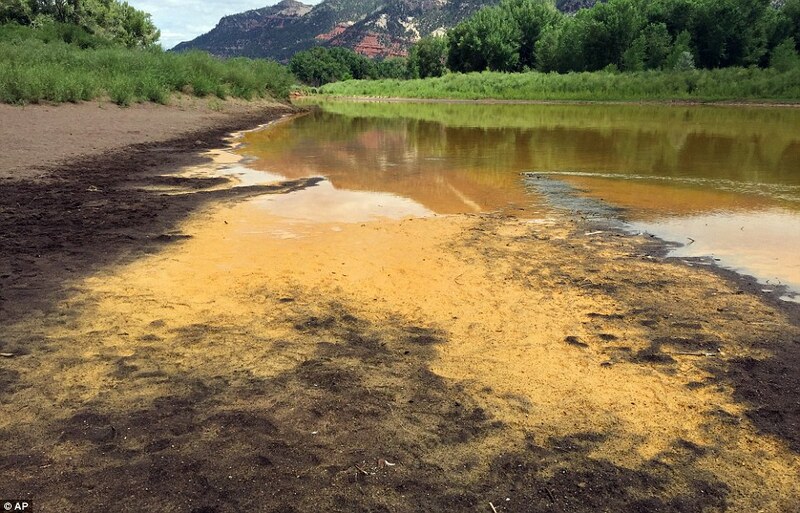 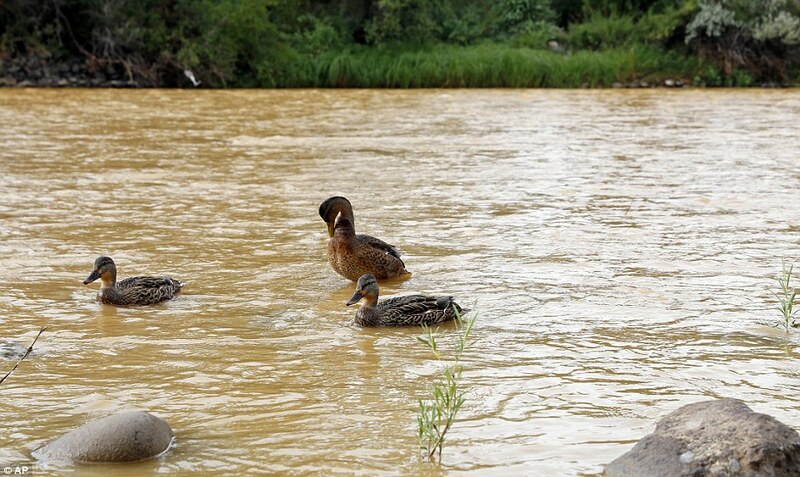 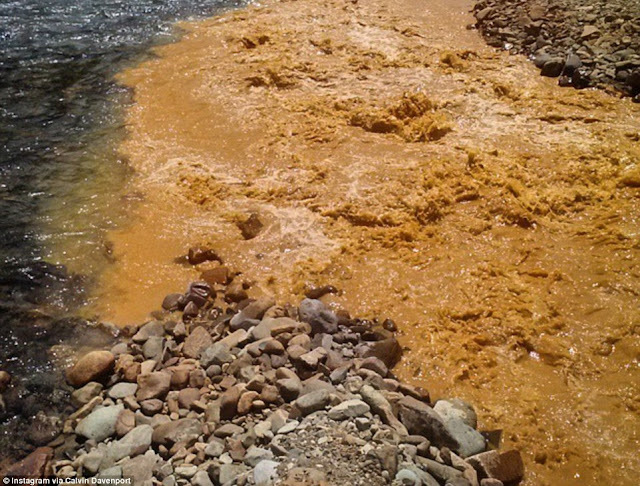 Federal officials have admitted that the flood of mine waste that turned a Colorado river putrid orange was actually three times than they first thought. 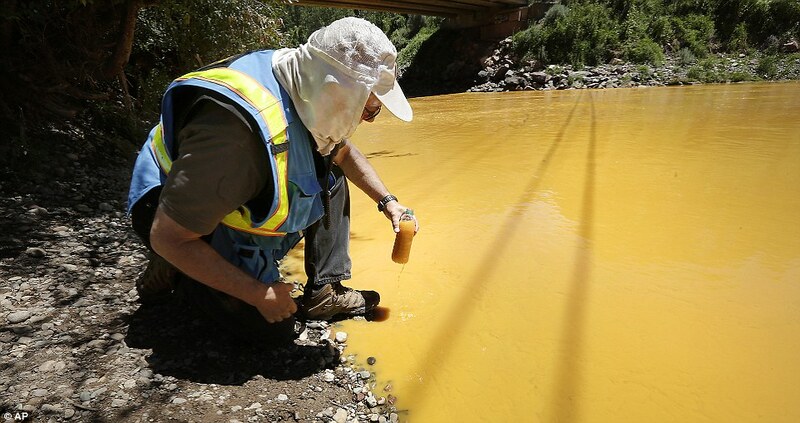 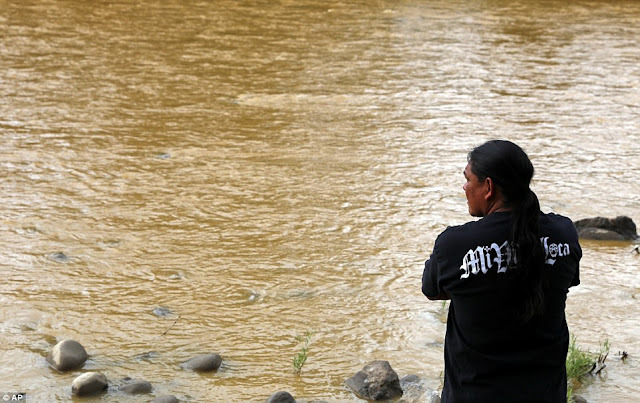 The creek runs from Silverton, Colorado, into the Animas River before flowing into the San Juan River at Farmington, New Mexico, where discolored water has been seen 100 miles from the spill. Preliminary studies of the water near Durango, Colorado, found that arsenic levels peaked at 300 times more than normal and lead levels at one point reached 3,500 times more than usual. 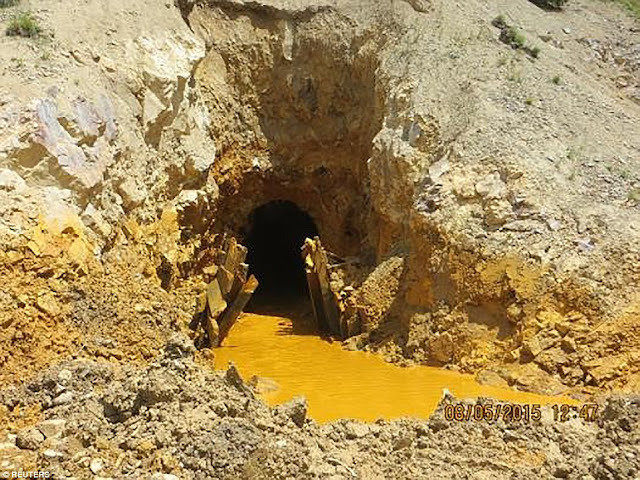 'Yes, those numbers are high and they seem scary,' said Deborah McKean, the EPA's chief of the Region 8 Toxicology and Human Health and Risk Assessment. A neutral pH is 7, and each whole number below that represents a tenfold increase in acidity, meaning that the Animas has become 100 times more acidic. 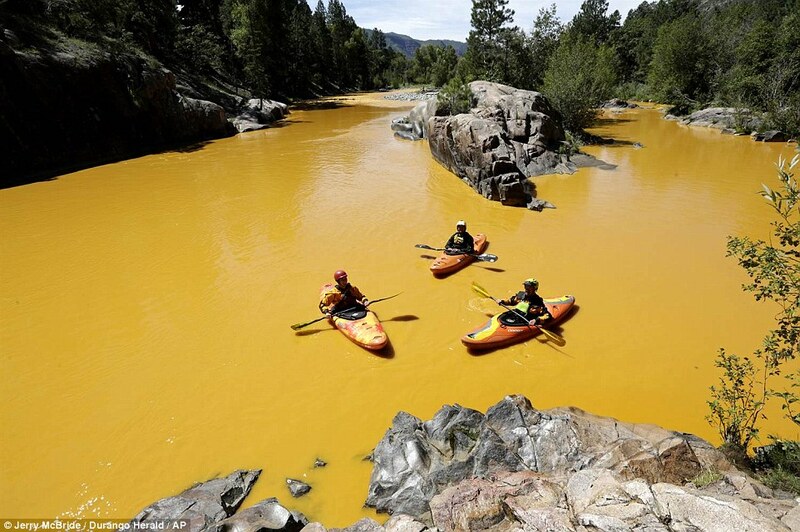 Responses to "Officials admit that contaminated water turning rivers orange was laced with arsenic"